By Ashworth Brothers. 'Real Ironstone China'. 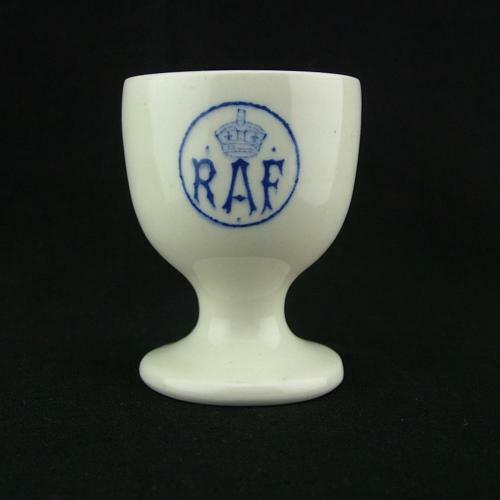 White china egg cup with RAF and King's crown markings to one side. Approximately 6.5cm tall and 5cm diameter at the top. No cracks or chips but does have some manufacturing 'faults' in the form of small 'lumps' under the glaze. Manufacturer's marks to the base. Very good '+' used. Ideal for that special occasion breakfast! Stock code C23287.